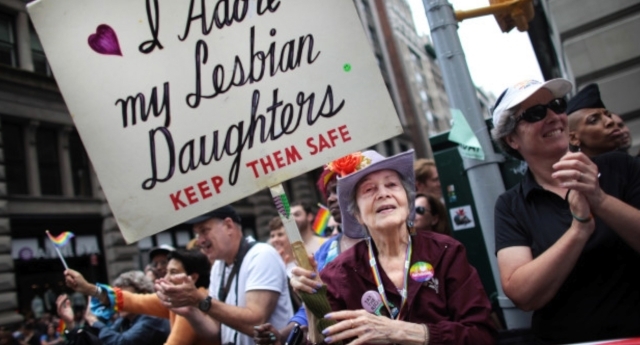 This 92-year-old woman has been using the same sign at pride…for over 30 YEARS! 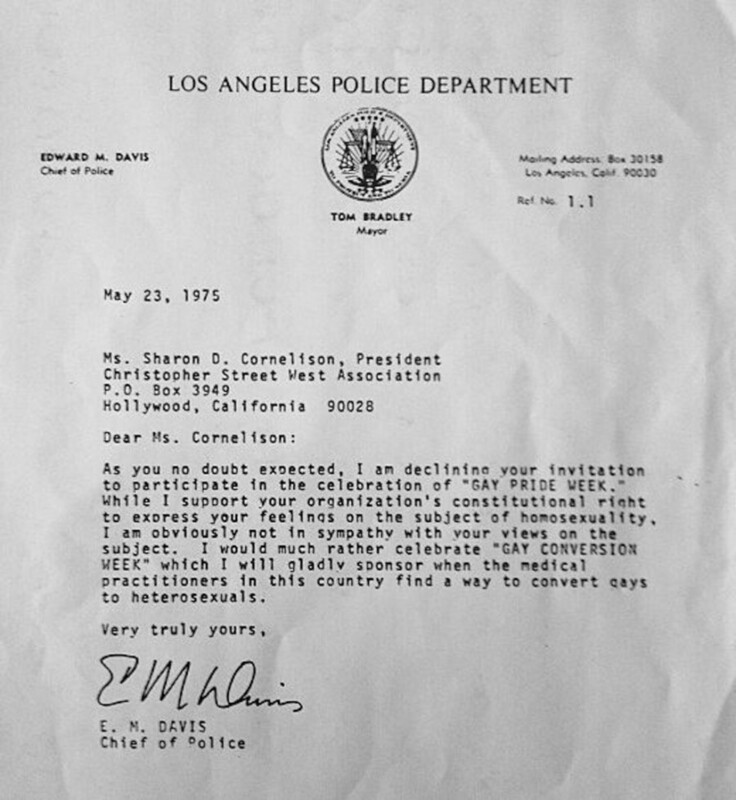 The nonagenarian has been a supporter of LGBT people since her two daughters came out shortly after New York’s first pride parade in 1970. She even attends on her own when her daughters can’t make it. Standing at the same spot every year (the corner of 18th and 5th Avenue), in recent years she has taken her wheelchair to take a break if it gets too hot. Francis told BuzzFeed that she had been attending New York’s pride parade “since the beginning”. “Since the beginning of the parade, I’ve been going and waving my sign,” she said. The original sign which simply read, “I adore my lesbian daughters” had “keep them safe” added to it in 1993, when Francis attended a historic LGBT march in Washington DC. She said this was because a protest sign must have a demand. The back of the sign reads, “a proud parent of lesbians”. Francis’ daughters added that when young people see the sign and ask her for support, she often writes to their parents and encourages them to support their kids. “I think I changed a few people’s minds and I’m glad about that,” she said.